Do you despair at the thought of having to mow your lawn? Do your children get cuts and bruises whenever they spend time in your garden play area? Spending too much money on maintaining your school play area? If you answered “yes” to any of these questions, then it’s high time you choose synthetic grass as your play area flooring and call Artificial Style. Serving Dorset, Hampshire, Poole, Bournemouth, and surrounding areas, Artificial Style provides the perfect option for outdoor and indoor play areas. Here at Artificial Style, we understand how much value parents put on their children’s safety. Family owned and operated, our company treats every job as if it were our own. Whether you need artificial grass surfaces for schools or for gardens, Artificial Style is perfect for you. We provide our clients with the option to add an impact layer beneath the synthetic grass in your children’s play area. Consequently, you lessen your worries about your child or your students getting bruises while at play. 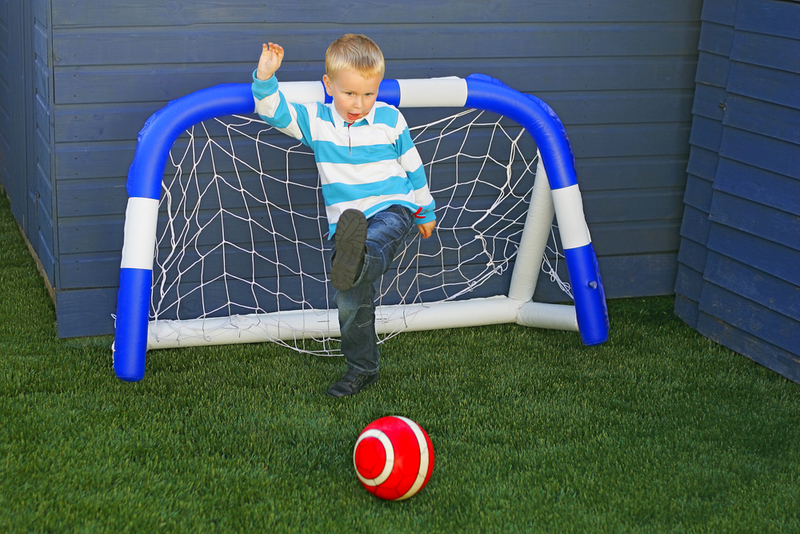 Artificial grass surfaces are also the best option for school play areas because having one is almost the same as having a virtually maintenance free play area. Since cleaning it can be done easily through hosing and a quick brush, artificial lawn as play area flooring cuts down the costs of landscape maintenance and water bills. At Artificial Style, we provide you with child-friendly and budget-efficient grass. Placing quality as paramount to our ideals, we strive to remove our customers’ worst garden and indoor play area nightmares. Compared to real grass, our synthetic turf is more dog-friendly. Children can play with their dogs all year-round on an Artificial Style installed play area flooring. Dogs won’t dig up the soil, and they won’t bring in mud when it rains. Our artificial grass surfaces are very realistic and you can rest assured that your children and dogs can enjoy a green play area regardless of the season. Contact Artificial Style at 01202 620996 for the perfect surfaces for play areas.You can also fill out the form on our Contact Page, and we’ll get back to you as soon as possible. We install artificial grass surfaces for schools and gardens in Dorset, Hampshire, Poole, Bournemouth, and surrounding areas.